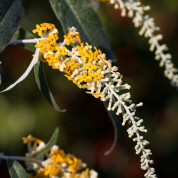 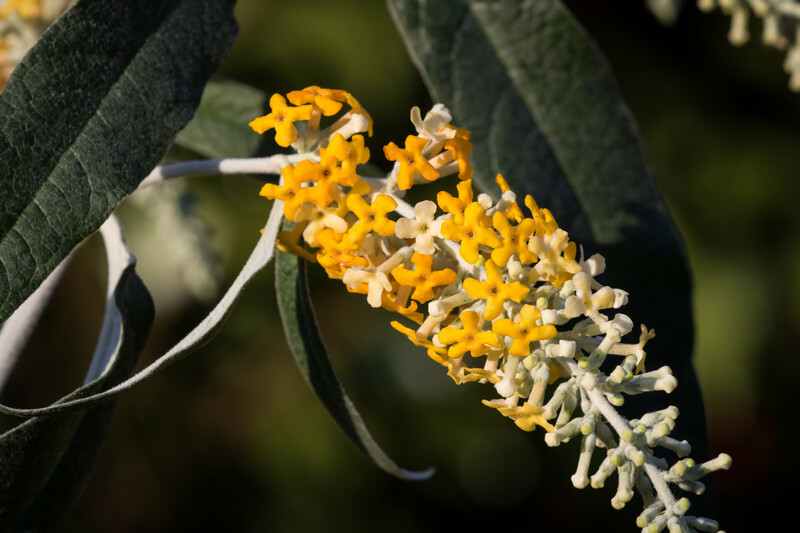 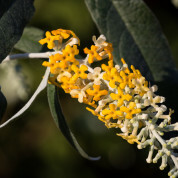 Buddleja x lewisiana ‘Margaret Pike’ bears spikes of yellow flowers early in the year. 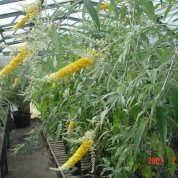 Proving to be tender the plant is best grown in a pot and given winter protection. 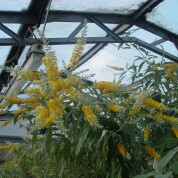 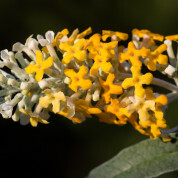 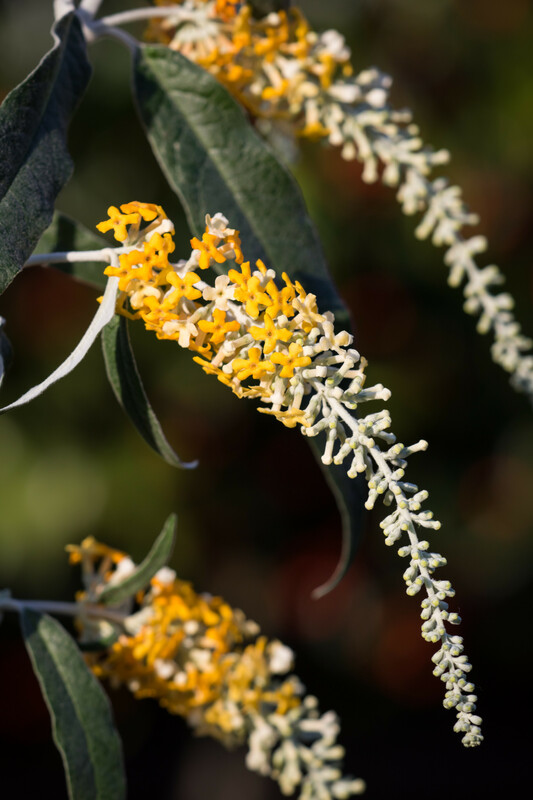 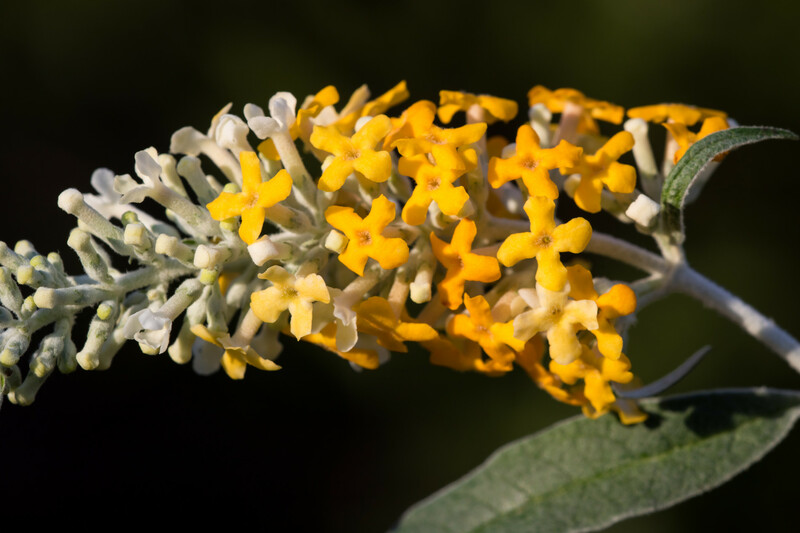 If you have the space in a frost free glasshouse or conservatory I recommend this Buddleja as it looks spectacular from late January to early March. 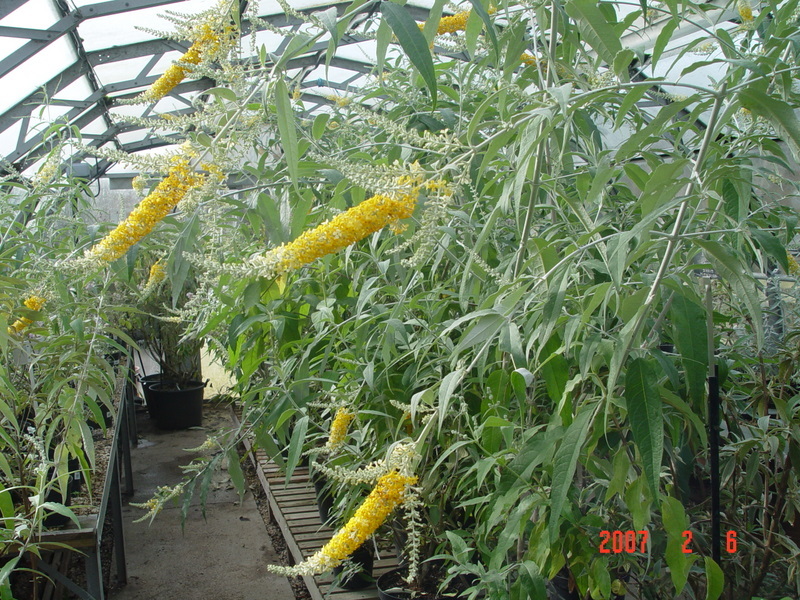 Best moved outside for the summer months. 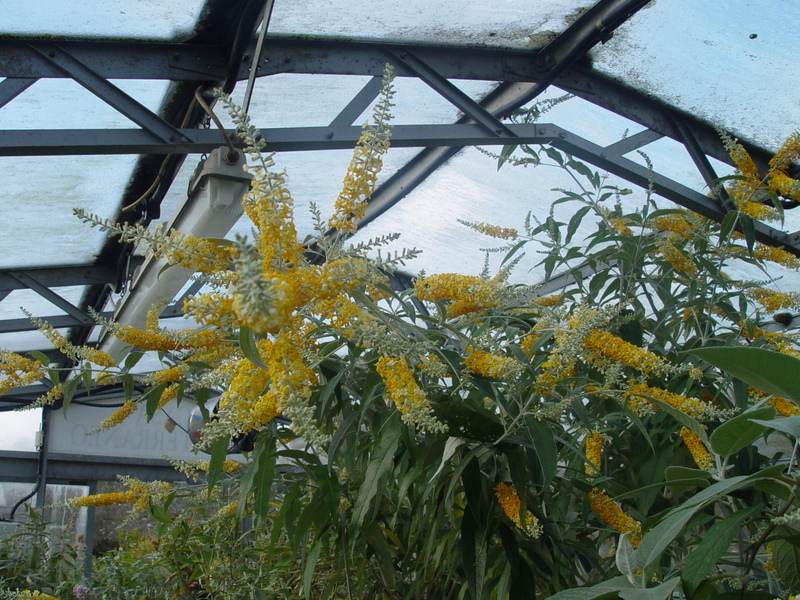 A cross made between B. madagascariensis x B. asiatica by A V Pike at Hever Castle, England in 1951.